URBANA, Ohio (AP) — A defense attorney is expected to argue that the case of a teen charged in an Ohio school shooting that wounded two students should be moved back to juvenile court for a hearing. The Springfield News-Sun reports that a Champaign County judge heard arguments Wednesday on defense motions in Ely Serna’s case. Serna has pleaded not guilty by reason of insanity to charges including attempted murder in the shooting last year at West Liberty-Salem High School in West Liberty. His attorney says Serna should have gotten a hearing on his likelihood of rehabilitation in the juvenile system before the case was moved to adult court. Authorities allege 17-year-old Serna fired a shotgun at a classmate, critically wounding him and slightly injuring another student. CINCINNATI (AP) — Police say a 4-year-old girl has died of injuries suffered in a New Year’s Day street racing crash in Cincinnati. The Cincinnati Police Department says the girl died Tuesday. She was injured Monday while riding in her father’s car as he raced another vehicle. Police say the two cars hit each other and then crashed into oncoming vehicles. The car carrying the girl then went over a guardrail and off the road. Police say the girl was wearing a seat belt but was not in a car seat. The girl’s father and the other drivers were expected to survive their injuries. COLUMBUS, Ohio (AP) — The Ohio State Highway Patrol says traffic deaths were down compared to last year during the just-concluded extended holiday weekends. The Patrol says preliminary statistics show five deaths from five crashes in the state during the Dec. 22-25 Christmas holiday period, down from 14 traffic deaths in last year’s Christmas period. In the New Year’s holiday period running Dec. 29-Jan. 1, the Patrol recorded three deaths from two crashes. That’s down from six traffic deaths in the previous New Year holiday period. 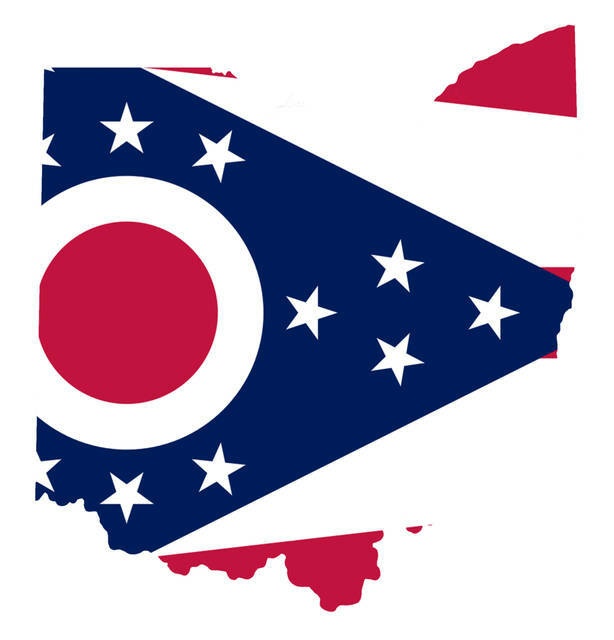 COLUMBUS, Ohio (AP) — The union representing Ohio prison employees says it’s disappointed by the state’s decision to close a prison unit employing about 110 people. Christopher Mabe is president of the Ohio Civil Service Employees Association. He says job losses from the closing of Hocking Correctional Unit are a lot for a local community to absorb. Mabe also says closing the unit could lead to overcrowding and violence in other prisons. The Department of Rehabilitation and Correction said Wednesday the employees will be offered jobs at other Ohio prisons, including a facility in nearby Lancaster. The unit’s 430 inmates will be moved to other prisons by the end of March. The state says Hocking is Ohio’s most expensive correctional facility. CLEVELAND (AP) — A man is suing Cleveland Browns wide receiver Corey Coleman and several other people over a 2016 New Year’s Eve alleged assault. Cleveland.com reports a lawsuit filed recently by Adam Sapp names the Browns player, his brother, Jonathan Coleman, and Jared Floyd of Dallas. Sapp claims the defendants and several other men beat him during an altercation in Coleman’s downtown apartment building. According to court documents, Sapp is seeking $25,000 for medical costs along with punitive damages. Corey Coleman has denied involvement in the altercation. He was cleared by the Cuyahoga County Prosecutor’s office. Floyd has pleaded guilty to attempted felonious assault. A second trial has been scheduled for Jonathan Coleman next month following a mistrial in November. UHRICHSVILLE, Ohio (AP) — A 19-year-old who launched his campaign for a council seat in an Ohio city while still in high school has officially taken office. Eric Harmon tells WEWS-TV he’s expecting a busy four years as he starts his first term as at-large member of the Uhrichsville City Council and his second semester at Kent State’s Tuscarawas campus. Harmon is a Democrat and ran unopposed to replace former Councilwoman Linda Davis, a Democrat who had served the city since before Harmon was born. He announced his intention to seek the office during his senior year at Claymont High School. Harmon tells the Times-Reporter that he’s focused on serving Uhrichsville, but hasn’t ruled out seeking higher office in the future.